Email has been around for 45 years now, overtaking text messaging to become the number one method of communication in 2013. For a few years now, it’s been one of the most popular smartphone activities. In 2016, email marketing is showing no signs of slowing down. According to expert predictions, email will experience a "second coming of age" in 2016, due to it being the top digital marketing channel in terms of results and a healthy source of data for marketers. Email is also made more attractive by granular targeting options and its one-to-one nature. There are three times more email accounts than Twitter and Facebook accounts combined, and 64% of marketers say email is their most effective lead generation channel when targeting new customers. 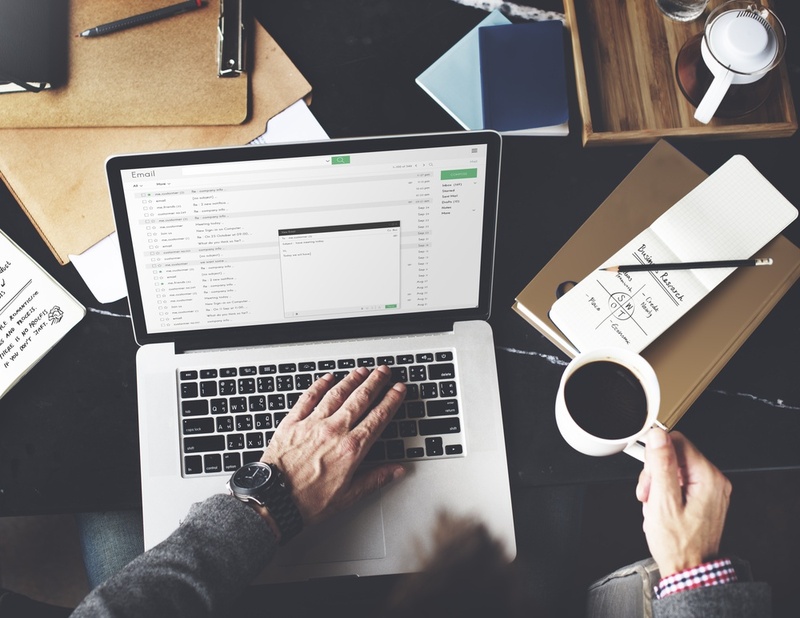 It’s time to start leveraging the power and reach of email in your inbound marketing strategy to achieve higher open rates, clickthrough rates and ROI. Your opt-in email subscribers usually expect quality output from you that is interesting and relevant to them. Meet their expectations by using your email service provider’s segmentation and targeting options. Using HubSpot, you can sort your email contacts into segments based on recent conversion events or their behaviour on your website (e.g. they looked at a particular page, or downloaded a specific piece of content). By way of another example, MailChimp offers segmentation options like location, date added to list and purchase history. It’s clear to see how segmenting your email list in these ways would lead to more relevant, targeted emails and higher engagement as a result. According to MailChimp, data open rates for segmented email campaigns are 14.37% higher than non-segmented campaigns, whereas clickthroughs are 64.78% higher. Following on from segmentation, you can make your emails more relevant to your recipients by utilising different types of marketing emails for different audience segments and purposes. There are various types of emails you can incorporate into your email marketing strategy, from thank you emails sent when people first subscribe or download a piece of content, to newsletter or bulletin style emails and lead nurturing emails which send out relevant pieces of content or offers such as free trials or coupons. You can also experiment with event invitations and product information emails if it makes sense for your business. Injecting variety into your email marketing output makes sense when you are dealing with recipients at different stages of the buyer’s journey. Adapting the pace and style of your emails makes for increased relevancy and engagement. A/B testing is a tried and tested method in marketing, and it's highly useful for optimising your strategy moving forward. For best practice A/B testing, first create your email within your email service provider’s formatting tool and select the right segment of recipients. Then, opt for a single variable to A/B test, such as subject line length or call-to-action wording. If you’re testing different subject lines, ‘from’ fields (e.g. personal name versus company name), preheader text or call-to-action copy, and you have a large recipient list, send option A to 10% of your recipients and option B to another 10%. You can then set it up so the ‘winning’ or best performing email gets sent to the remaining 80%. For smaller lists, you could send your emails to all recipients at once. To test which day of the week or time of day gets better open rates or clickthrough rates, simply send your email to 50% of your recipients at one time or on one day, and 50% on another. You could split your recipients into smaller cohorts to test more times and days, but if you act on hunches and industry data you should be able to narrow it down to two values. Marrying your social media and email marketing means more than placing your social media icons in the header or footer of your email template. As with all CTAs, your social media links should grab people’s attention and give them a reason to click. Examples of how to make social media integration work for you might be promoting your content on social media by notifying your recipients of a competition or new Instagram account, or a ‘click-to-tweet’ CTA, for an announcement or event. Instead of running social media ads blindly, you could also retarget your email subscribers by uploading your email contacts, or those who have clicked on your emails by tracking visitors to a particular URL with a tracking code. Analyse the data your email service provider gives you in terms of open and clickthrough rates, but make sure you’re calculating the most useful metrics. Check your industry benchmarks using the 2016 Sign-Up.to email benchmark report, which uses data from billions of emails sent in 2015. Compare your actual results with these benchmarks to see how your email marketing fares against the industry averages. The best benchmarks to measure your success are click-to-open rate (campaign engagement) and unsubscribe-to-open rate (customer loyalty), since they show you the percentage of people who clicked or unsubscribed from your email after having opening it. Mobile user experience is becoming increasingly important, so make sure your emails adapt to and look good on mobile and tablet screens. In the UK, we spend twice as long on our smartphones than on laptops or personal computers. Two thirds of us own a smartphone, and over half of all UK households own a tablet. Seven percent of our time spent using smartphones in 2015 was spent consuming and sending personal emails, making it the sixth most popular smartphone activity. When optimising your email layouts for mobile, make sure they are responsive to different screen sizes. Also keep copy concise and CTAs clear and to a minimum, so it’s obvious to your recipient what action they should take. All of these optimisation tips can positively influence the success of your email marketing campaigns, but just as important is learning from your experiences and data. Whether conducting A/B tests, optimising for mobile or segmenting your email contact list, always track and measure your results so that you can replicate or improve them moving forward.